Our video from the pilot phase of the project. 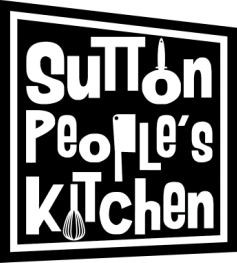 The concept behind Sutton People’s Kitchen is to bring people together to celebrate food, encourage healthy eating and promote local food growing. The project was commissioned by the London Borough of Sutton and managed by Sutton Community Farm, in partnership with the Greenwich Co-operative Development Agency. The project will run until October 2016. We hope to continue the project and are actively seeking funding or sponsorship for this. More information here. We have a huge public health problem in the UK with more and more people suffering from obesity and diet-related diseases, such as diabetes and heart disease. Eating a balanced diet and having an active lifestyle plays a big part in helping people to maintain their health and wellbeing. We recognise that tackling healthy weight, sustainable food choices and healthy diet takes more than just ‘well meaning advice or individual will’. This project builds on an integrated approach that links food access, the environment and food culture in our community. Some wards in Sutton have rates of overweight children as high as that of the worst performing boroughs in London. 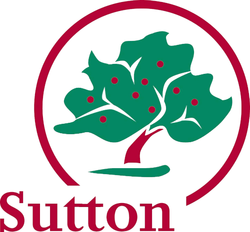 The rate of obesity among adults in Sutton is worse than the England average. These same wards have a greater degree of inequality when compared to other parts of the borough. ​Indicative modelling show some of these same wards have a density of takeaways above the average by ward in Sutton. The way we buy and cook our food has changed dramatically even in the previous few years, with less purchased, more often. Cooking is a popular activity with children and part of family life. Tasting freshly cooked food cooked locally is gaining a resurgence of interest. This project seeks to capitalise on normal routines to influence awareness and behaviour. If you would like further information about the project, please contact info@suttonommunityfarm.org.uk. Sutton Community Farm is managing this project as part of our mission to help people cultivate skills, eat well and have healthy lifestyles. Many of the produce used in this project will be grown on our farm. Greenwich Cooperative Development Agency: are delivering the Cook Club Tutor Training and supporting the markets and cook-clubs. GCDA specialise in food and health enterprise and have much to offer through their extensive experience in delivering attractive market stalls that provide take-aways as well as cooking demonstrations. The London Borough of Sutton Public Health are funding this project as part of their wider programme that supports local residents to access services that promote healthier lifestyles.